A reliable residential roofing system is essential in protecting the rest of your home from Nature’s harsh elements. The roof is made of different components, all of which must have certain characteristics that make the entire system function as efficiently as possible. Here’s a quick overview of the anatomy of a roof that you’ll want over your house. The covering is the topmost layer of the roofing system. Usually made of asphalt shingles (although metal, tile and slate are also common options), the covering bears the brunt of the rain, snow, hail and other factors that threaten the home. A reliable roofing system has a covering made of high-quality materials that require minimal upkeep so it stays effective without causing too much of an inconvenience to keep it that way. Whatever moisture gets past the gaps between the roof covering is stopped by the underlayment. Usually made of polymers or thick felt, the underlayment is the roof’s main defense against moisture damage. Even the slightest tear in the underlayment makes the roof vulnerable to moisture damage, which is why you need to call a roofer to check if it is still in good condition on a regular basis. The sheathing acts as a base for the covering and the underlayment and it consists of a series of plywood, polymer boards, or metal panels. The sheathing must be perfectly flat and aligned to maintain the roof’s shape; any warping or misalignment in the sheathing will show up on the outside as either sunken or “bloated” areas on your home’s roof. Misaligned sheathing can be very difficult to fix, which is why you should call the pros for help if you see those two symptoms on your roof. Portions of the roof that intersect with vents, chimneys, or adjacent roof planes are too narrow to fit in full-sized shingles or panels. These areas are protected by flashing, strips of metal or plastic secured to the place by nails and sealed with waterproof adhesives. Over time, the sealant can dry up and get cracked, creating small gaps that moisture can seep into. When that happens, you need to get help from a roofing company like us to have it re-sealed. 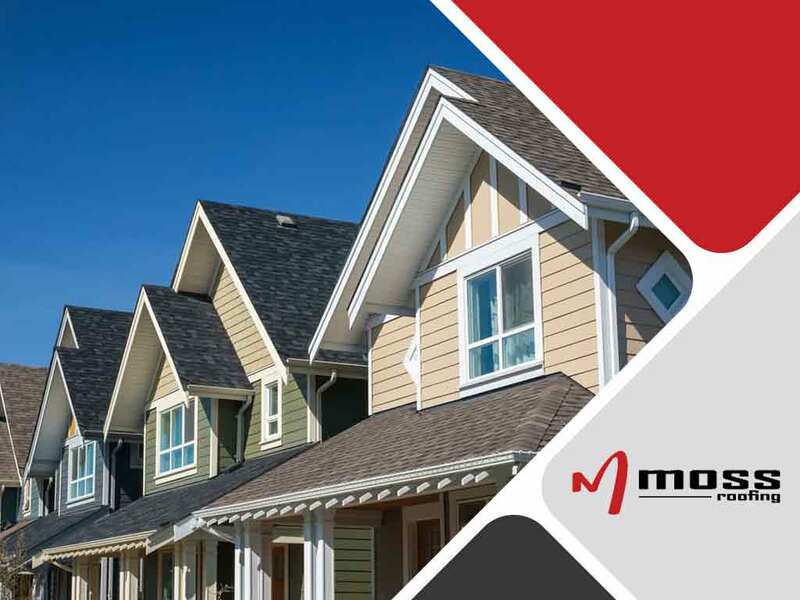 Maximize your roof’s life span with help from our team of experts. Moss Roofing is the most trusted roofing contractor in Indianapolis and Noblesville, IN. Call us at (317) 207-4778 or fill out this contact form to request a free quote.